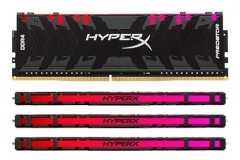 HyperX is a brand that I associate with memory first and foremost. 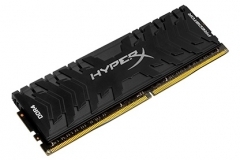 Kingston HyperX built its reputation with performance memory products aimed squarely at enthusiasts and gamers. 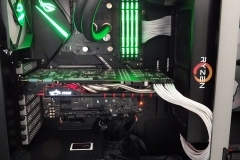 Like other manufacturers, they branched out into peripherals as well and we now see a range of products that include headsets, keyboards and mice. 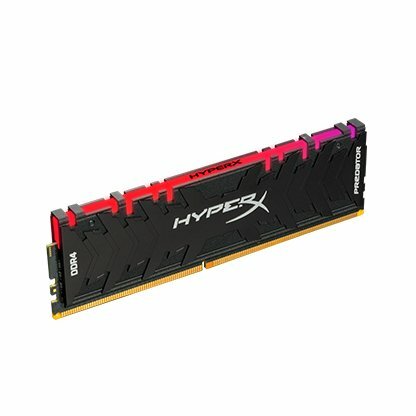 Check out https://www.hyperxgaming.com/en for their full range. 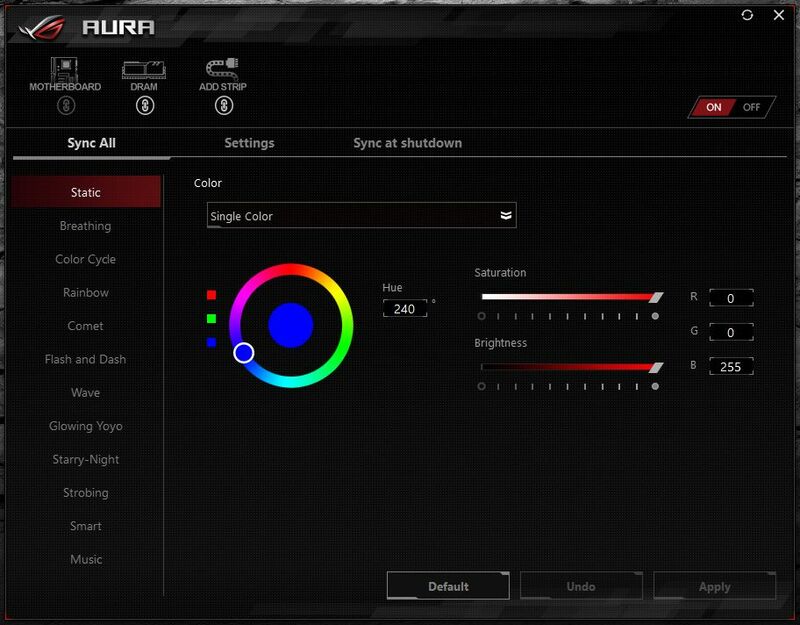 The Predator RGB kit is compatible with MSI Mystic Lighitng, Gigabyte’s RGB Fusion and ASUS AURA Sync software. Recent testing also confirms that ASRock’s Polychrome RGB also supports the LEDs in this beastly DDR4 kit. 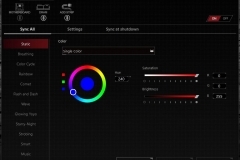 HyperX doesn’t have a separate app to manage the lighting but most of the premium motherboard offerings come with RGB software these days. There is an IR sensor (IR Sync) in the modules that ensures the LEDs are running in time which makes the kit look sharp when you have any effects such as wave, breathing, pulse etc running. We’ve been using the HyperX Predator 3333MHz DDR4 kit in our Threadripper system for about a year now and before that we used the same kit in a number of test systems both Intel and AMD. 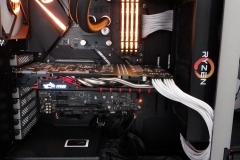 That HyperX Predator 3333, the 4x8GB Savage 3000 and 2x4GB Fury DDR3 memory kits have all been 100% reliable, as has the Fury SSD, the Cloud and Cloud revolver headsets – which is why we rate Hyper X as a genuine enthusiast gaming brand. HyperX products are well designed and, in our experience, well built – deserving of a gaming/enthusiast product position. 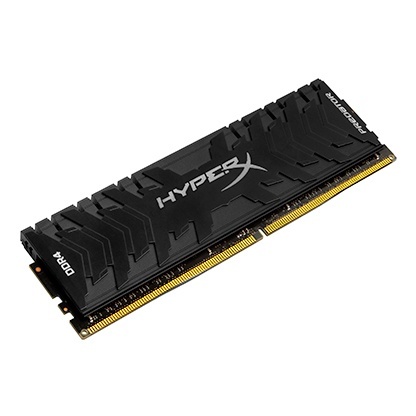 Also note that HyperX back this product with a lifetime warranty. The memory modules were well packed and secured in the box. The modules feel ‘heavy’, sturdy/rigid and cool – yes as in the temperature of the unit is cold when you pick it up. Nothing about the kit or the packing feels cheap – it’s all premium which is nice when you pay the premium price. The memory has a black PCB and the heat spreaders on both sides are about the same thickness as the PCB itself. 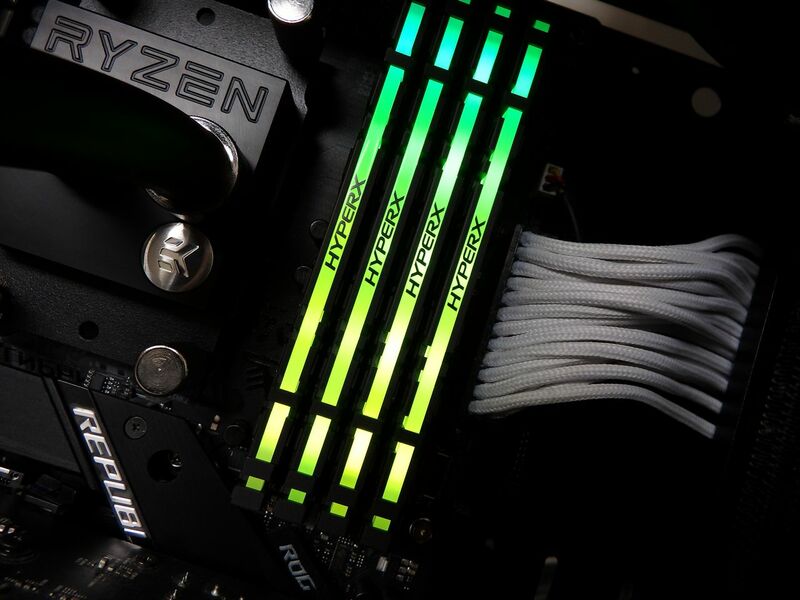 The RGB section runs along the top of the memory module and has the “HYPERX” brand proudly centred in black print. 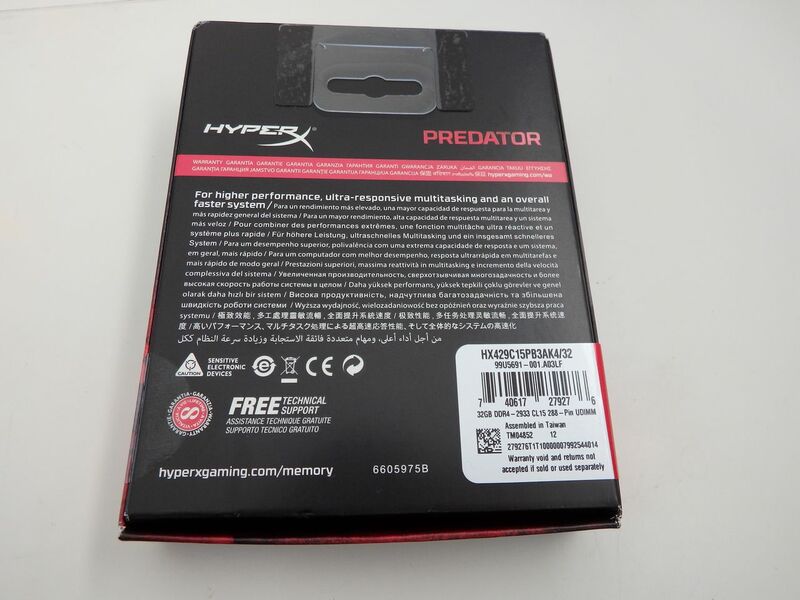 The front of the memory module has white “DDR4” and “PREDATOR” branding along the edges with a bold trademark HYPERX logo in the middle. As aggressive as the branding is, I was pleased to see the top of the module kept flat and not raised too high. The detail on the heat spreader is all in the etching and colour aesthetic. It’s strong and confident in appearance without being over the top and garish. 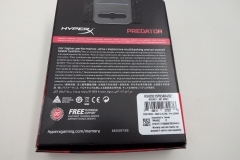 The ASUS AURA Lighting control was also listed as compatible on the HyperX packaging. We’ve seen LED DDR4 in the past and there was no shortage of it at PAX AUS in October last year – so it isn’t exactly a new concept. 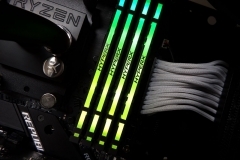 HyperX has been one of the slower vendors to adopt RGB lighting into their memory designs but the wait has been worth it. Aesthetically, the design of the heat spreader with integrated LEDs is very tasteful and subtle. The individual LEDs are less obvious than some other brands with the HyperX LED strip blending more seamlessly than we’ve seen in competing products. 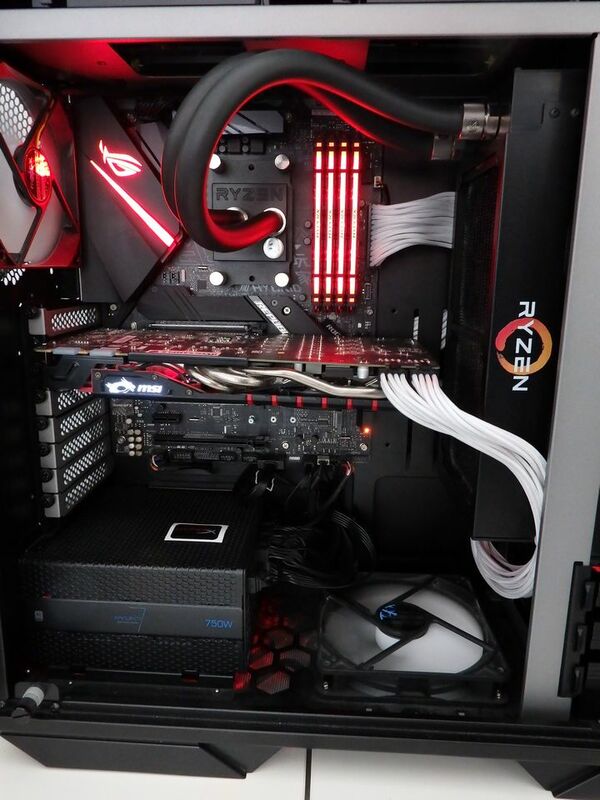 The branding is also simple and whilst you can tell that it’s a HyperX product, it won’t overpower other components of your build. The design is more complimentary to the other elements in the system. The memory still looks good with the lighting turned off. 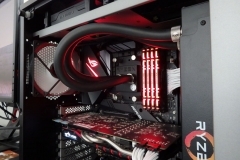 We tested the HyperX Predator RGB 2933 DDR4 kit the ASUS ROG STRIX X470-F Gaming test bench. 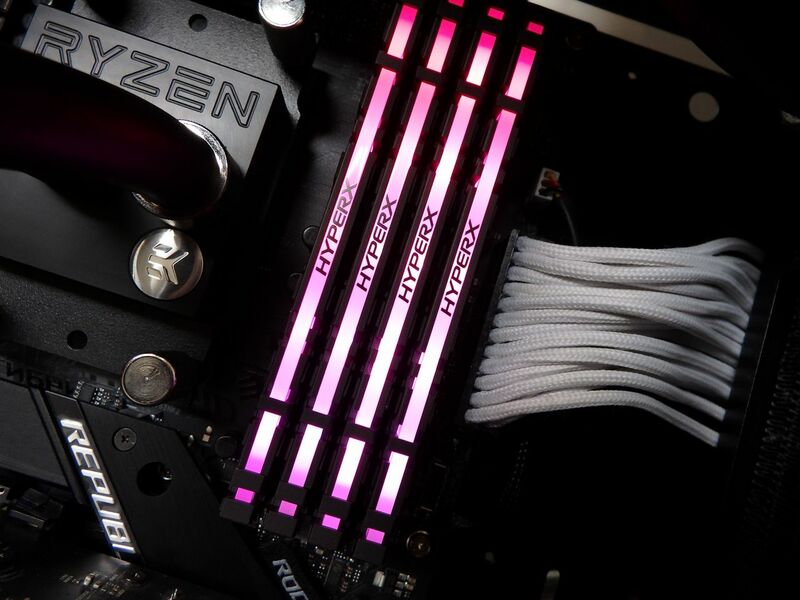 When looking at the ASUS ROG STRIX X470-F Gaming motherboard, I liked that the RGB lighting was subtle. 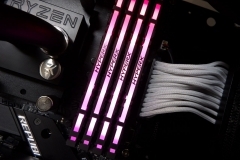 There are headers for peripheral RBG strips but the motherboard itself only has one RGB section in the top left corner inside the rear I/O shroud. 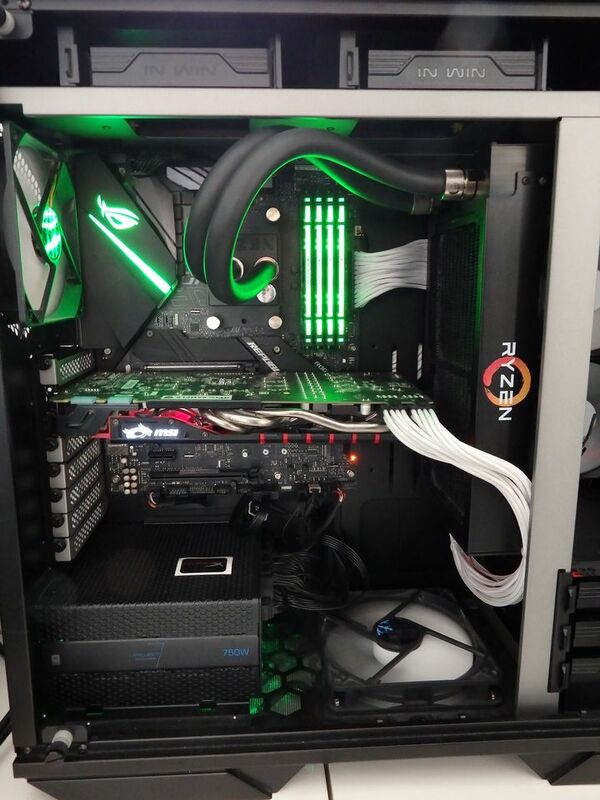 I’ve used the RGB header to drive some accent lighting on the front of the In Win 509 chassis and also on the Power supply of our main test bench. 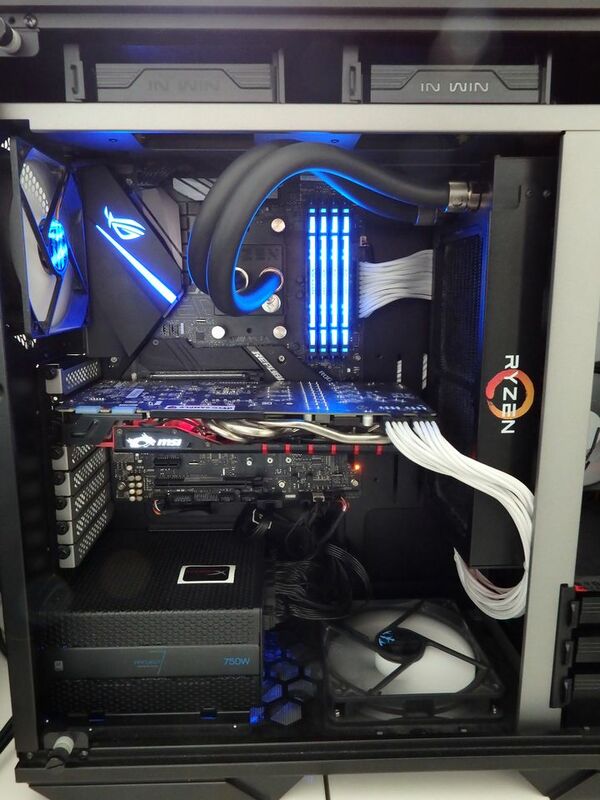 The 509 case has a tinted tempered glass side panel that mutes most of the features inside the case but it allows LEDs to accent the build. 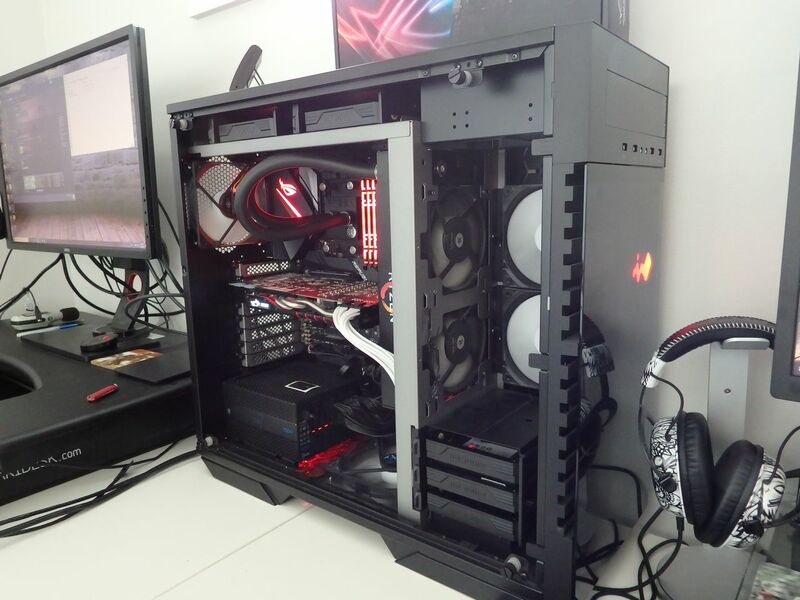 This environment seemed like the perfect place for the HyperX Predator RGB 2933Mhz 4x8GB kit. Our results were good. 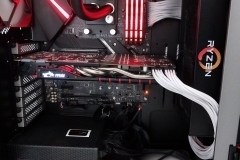 I made the decision not to increase the voltages at all just changed the memory frequency in the ASUS ROG BIOS settings whilst trying to keep the timings the same to see how it performed. 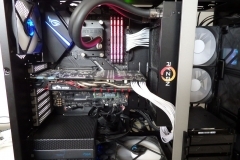 The benchmarks were AIDA64 Performance test and Cinebench R15 multi-core benchmark. The AIDA64 results below show what the kit is capable of at 2933 out of the box using the XMP setting. The benefits we saw when manually overclocking the kit to 3200MHz showed a nice speed improvement in read, write of ~10% and copy speeds up by around 6%. The 3200MHz overclock also yielded a ~4% reduction in latency. As a side note, when just going for frequency speed, we did better with 2x8GB sticks as we were able to boost the frequency to 3400MHz on stock volts but the system wouldn’t POST beyond that. 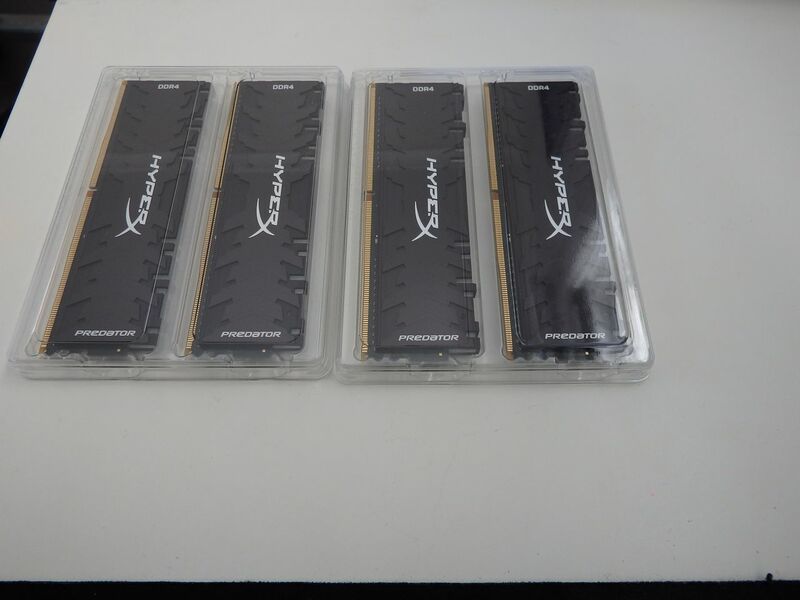 We had issues POSTing beyond 3333MHz when using all four 8GB RAM modules. 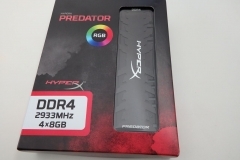 Whilst other people’s experience may vary, we can only go by the kit we received from HyperX. Running 3200MHz at 16-17-17-39 CR1 timings as 2933MHz is better than what HyperX list in the specification sheet so we can’t complain. 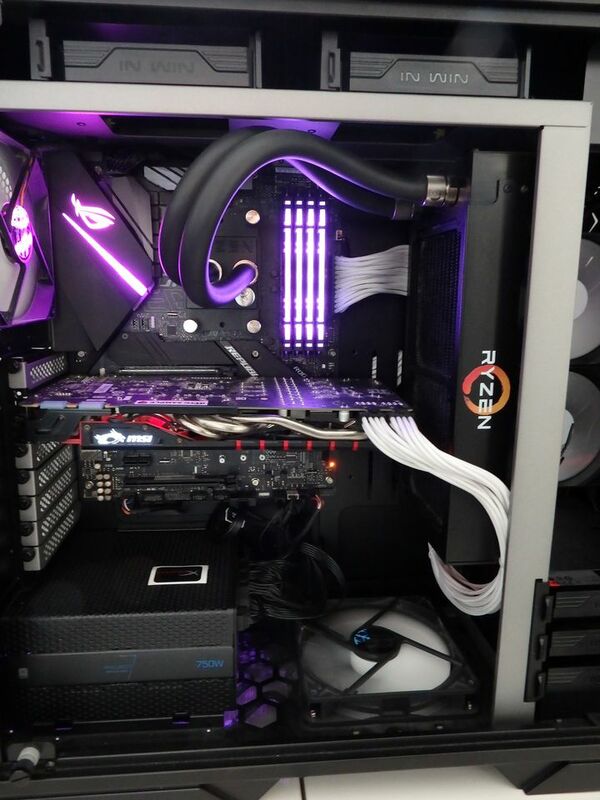 Our Ryzen generation 2 2700X and the ASUS ROG STRIX X470-F Gaming motherboard worked well with the Predator RGB kit. 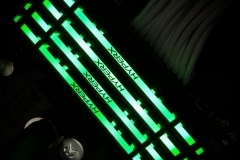 The system performed flawlessly during the bench-marking, stress testing and general transcoding or gaming workloads. 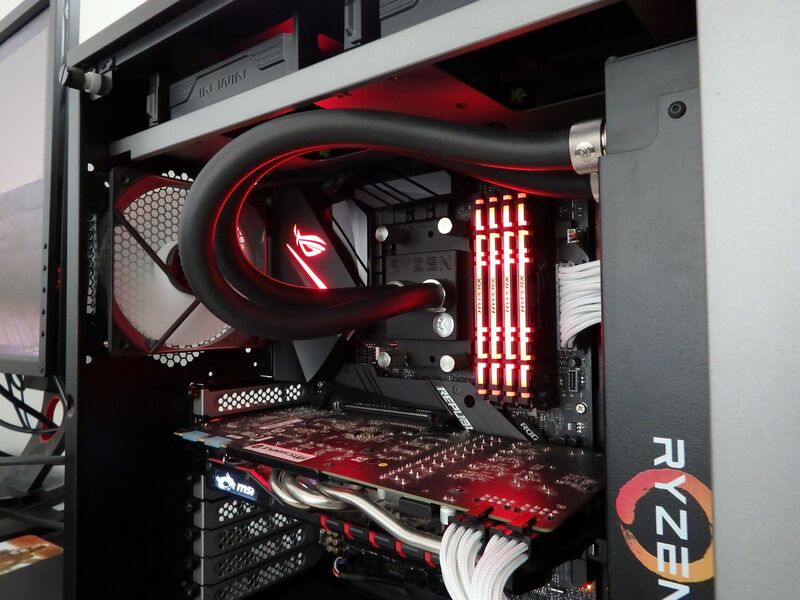 We ran the Predator at its rated speed of 2933MHz and benchmarked it with Cinebench and AIDA64 on our ASUS ROG STRIX X470-F Gaming test bench. No issues at all. 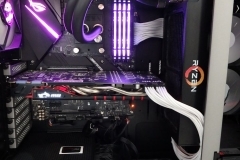 The DOCP found the two XMP presets as we’d expected and the ASUS AURA lighting app identified the RGB memory as a source and allowed us to manage the colours/effects. The lighting is the most even that I’ve seen on an LED kit with a very good blending of the LEDs. In some kits, the individual LEDs are easier to pick out but on the Predator RGB, the LED implementation looked more gradual and it wasn’t easy to pick the individual LEDs out. One thing I’d like to point out is that you need to use the right version of the AURA Sync software. 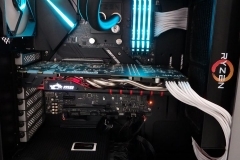 For testing, we had to download version 1.06.29 as previous versions, including the one on the motherboard installation CD didn’t recognise the memory LEDs. It’s not surprising or an issue – just something to be aware of if you buy this kit and can’t see it in the software. Another thing to note is that static colour control is supported under AURA Sync but the lighting effects like wave, pulse, rainbow etc don’t sync with the memory at this stage. This isn’t uncommon as it can take software a release cycle or two to catch up – perhaps disappointing for some but not unusual. We’ve seen full support from ASUS AURA Sync for the ADATA Spectrix RGB memory so hopefully the next release will complete the functionality for HpyerX Predator RGB. 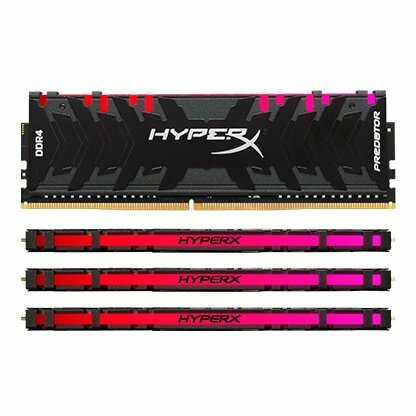 Memory prices currently sting in general but HyperX Predator RGB will hit your wallet a little more than others. 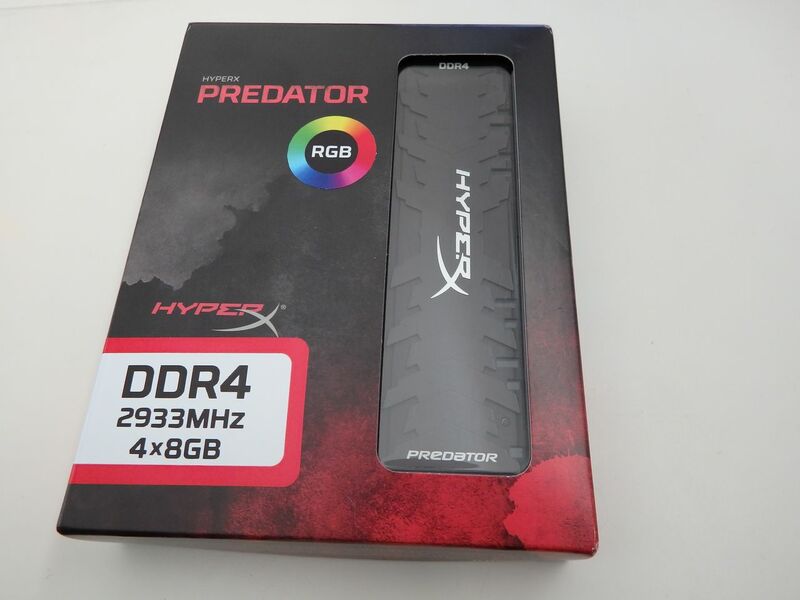 $699 AUD will get you a 32GB(4x8GB) kit of Predator RGB DDR4 2933MHz memory and if you want to drop it down to 16GB(2x8GB) then you’re going to be paying $299. 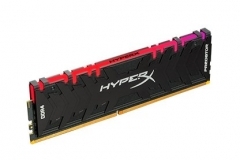 It’s about the most expensive 2933MHz DDR4 you can buy so I can’t say it’s good value. There are alternative 32GB kits available without RGB at similar speed ratings for about $100 less. That said, I really like the look and feel of this kit. HyperX as a brand hasn’t ever let us down and the 4x8GB kit overclocked to 3200MHz without any stability issues so had I bought it with my own money, I’d be content with the purchase despite knowing that there were perhaps better value options available. 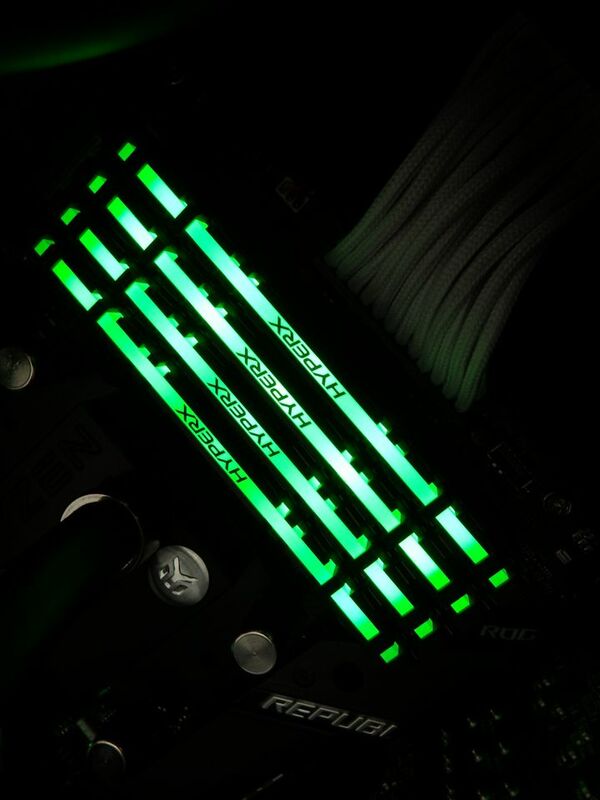 Price aside, there is a lot to like with the Predator RGB memory kit. 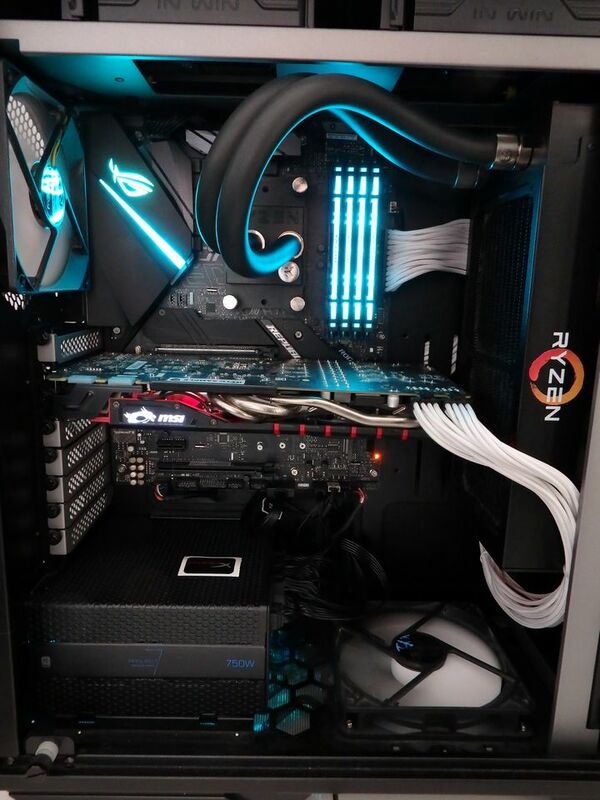 It works better than advertised, looks great and I’ve got faith in the HyperX brand based on previous experience with their memory kits, SSDs and gaming headphones. I’m starting to play around with more caching utilities and 32GB of DDR4 is important to me from that perspective compared to the next step down at 16GB. 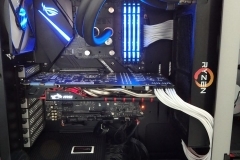 There are no guarantees with overclocking but it is nice to get a little extra and we certainly saw that with this sample kit. 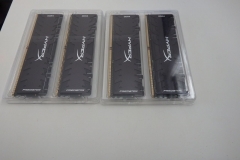 I’d recommend it based on my experience with the sample and the quality of another older Predator DDR4 kit. 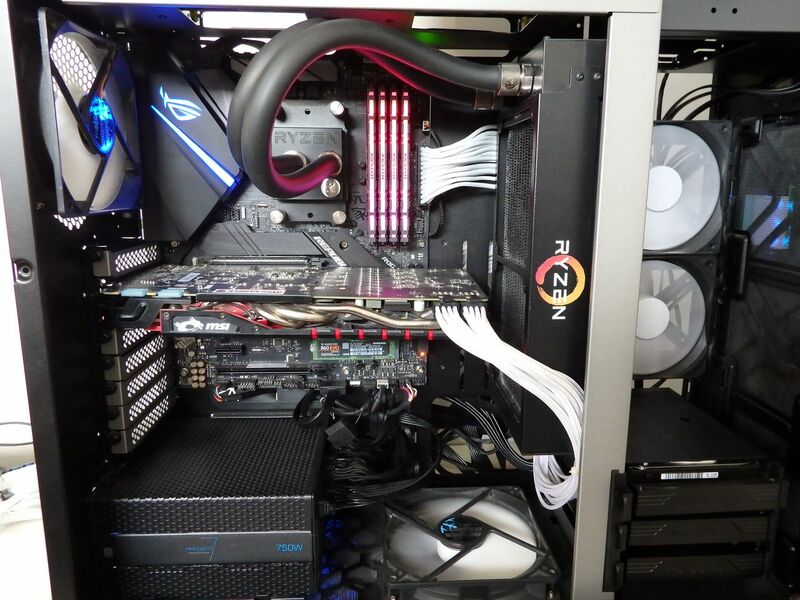 The price seems hefty compared to other kits but if you are building a top end rig for the next few years, that extra $100 won’t seem so bad in the long run. I’ll admit that I’m one of those people that doesn’t spend much time tweaking memory. 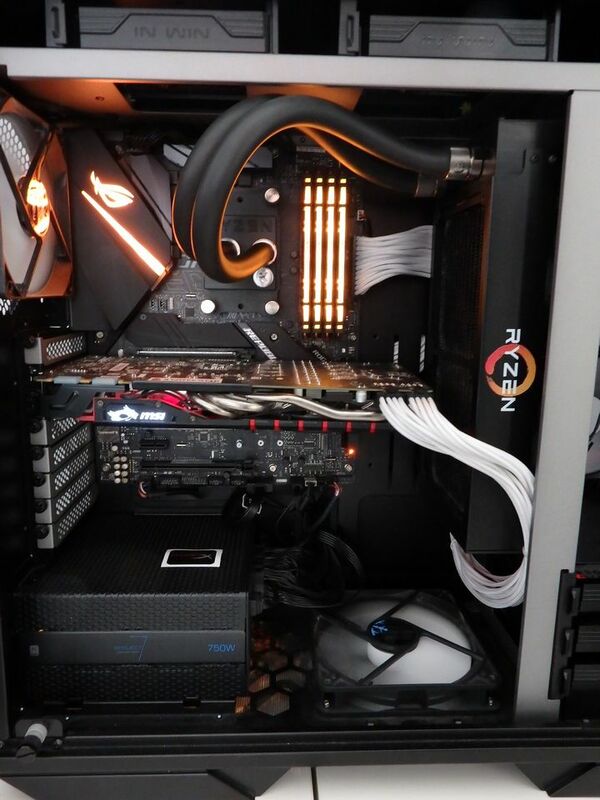 My personal focus is that it works as advertised, that I have enough of it and that it looks good in my rig. Warranty is also important and a lifetime guarantee is the standard for memory. 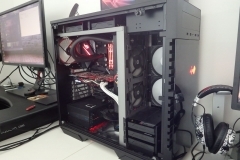 The HyperX Predator RGB is something that I know I can lose some time overclocking it later on if I want to tinker.